The oldest continuously run tavern in the United States is located in the quaint seaport village of Essex, Connecticut. 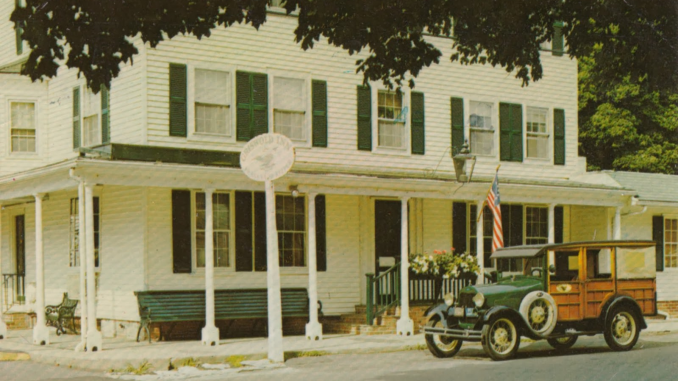 Founded by three brothers in the late 18th century (1776 to be exact) and named for the Griswold family, the Griswold Inn is also one of the oldest hotels. Built to provide food and shelter to shipyard workers during the revolutionary war, the Griswold Inn has been catering to yachtsmen and overland travelers ever since. Throughout its history “The Gris” has seen British troops, prohibition, and thousands of surly shipyard workers. As well as being a historic Inn, the Gris has been the set of numerous television shows and feature films. The Griswold Inn was able to survive prohibition by continuing as an entertainment venue for the local yachtsmen, and serving New England cuisine in its suddenly dry tap room. The tap room was originally built in 1735 as a schoolhouse, and was later attached to The Gris in 1801 by a team of oxen, rolling it on logs down Main Street. Sometimes referred to as the best looking drinking room in America, the Tap Room has been open seven days a week to cater to hotel guests for many years. On the walls of the Inn are numerous historic artifacts, paintings of old local ships, and works by Antonio Jacobsen, who is considered the country’s most prolific painter of maritime art. The Griswold Inn also has a vast collection of rare firearms in the Gun Room that will make those interested in old guns very happy, but is otherwise just a room filled with old guns. Over the many years it has been opened, the Griswold Inn has continued to add buildings to the complex making it a unique and varied place to stay for the night or stop by to have a drink with friends. 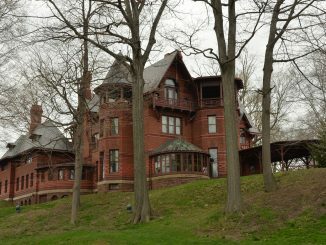 Essex was voted the Best Small Town in America. The Griswold Inn is one of the Ten Oldest Restaurants in the United States. Many famous people have stayed and dined at the Griswold including George Washington. 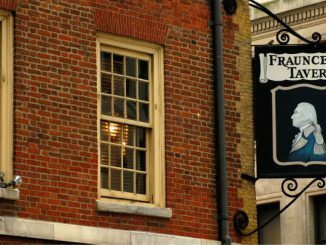 During the War of 1812, British troops used the Griswold Inn as a base of operations. The lower Connecticut River was designated one of the Forty Last Great Places in the Western Hemisphere by the Nature Conservancy. Parking might be a problem at the Griswold Inn but there is free street parking nearby. Traveling Essex Village by foot or bike are great ways to avoid hunting for parking. There are plenty of things to do near the Griswold Inn as well as nightly entertainment at the Inn itself. Take a cocktail cruise on the Connecticut River. It’s a relaxing way to get away from an otherwise busy life. There are great hiking opportunities as well as kayak trips available in the region and the Griswold Inn makes a pretty good home base while out enjoying nature.